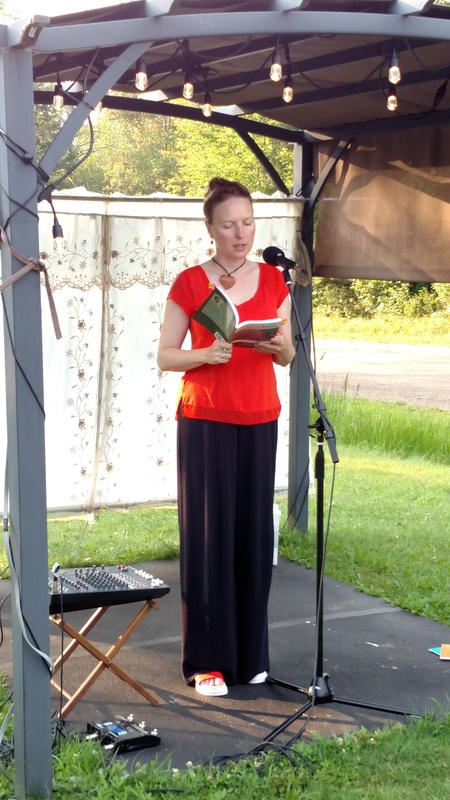 Reading my poetry at Farmstead Creamery & Cafe CSA farm near Hayward, Wisconsin. Beautiful setting, engaging audience, and delicious goats’ milk gelato. The Farmstead folks are great supporters of spoken word, live music, and fiber arts. I brought my Rescue Art© Poetry along. Audience loved the new art form. 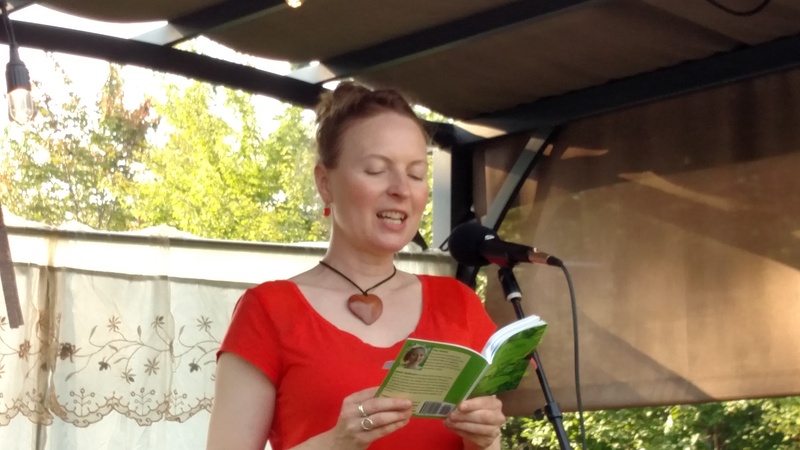 Reading from my Tiny Poems book. Photo above I am reading from my Seeing Beauty in Everyday Things book. This entry was posted in Readings and tagged Farmstead Creamery & Cafe, Hayward, poetry reading, reading, WI. Bookmark the permalink.